To help practitioners maintain the high level of competency the community demands, IPWEA provides regular continuing professional development, conferences, technical publications, and the chance to be involved in committees addressing technical issues. IPWEA also provides members with opportunities to network with colleagues at Branch, State and National conferences. IPWEA lobbies state and federal governments for policy change and for grants to undertake projects that benefit the public works industry. IPWEA is Technical Society of Engineers Australia, providing savings and additional benefits to members including accreditation of qualifications, training, networking and exchange of specialist expertise. 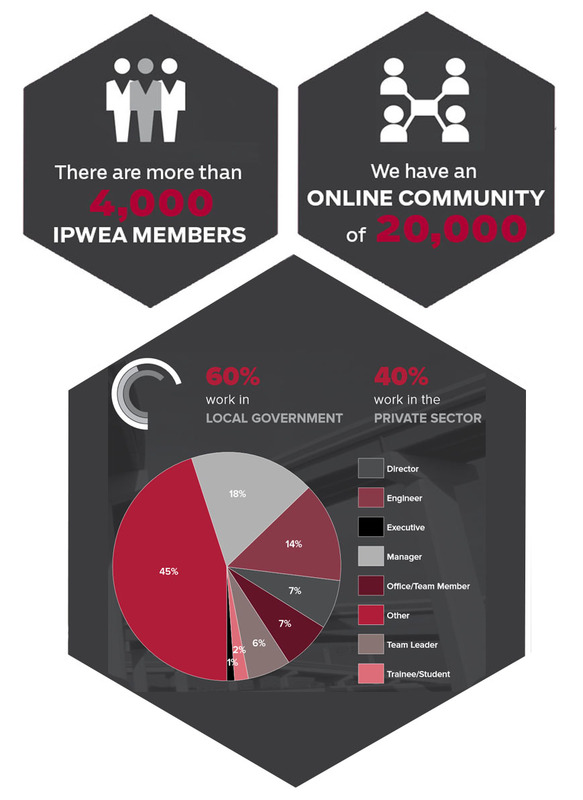 IPWEA promotes professionalism, education and knowledge sharing in its community.